Photo from "The Nature of the Meadowlands"
We know we can't compete with Wrestlemania in the Meadowlands on Sunday, so we thought we'd offer an equally exciting alternative — Wren-O-Mania at DeKorte Park. This free two-hour guided bird walk includes a free prize to the first person to see or hear a Marsh Wren or Carolina Wren! 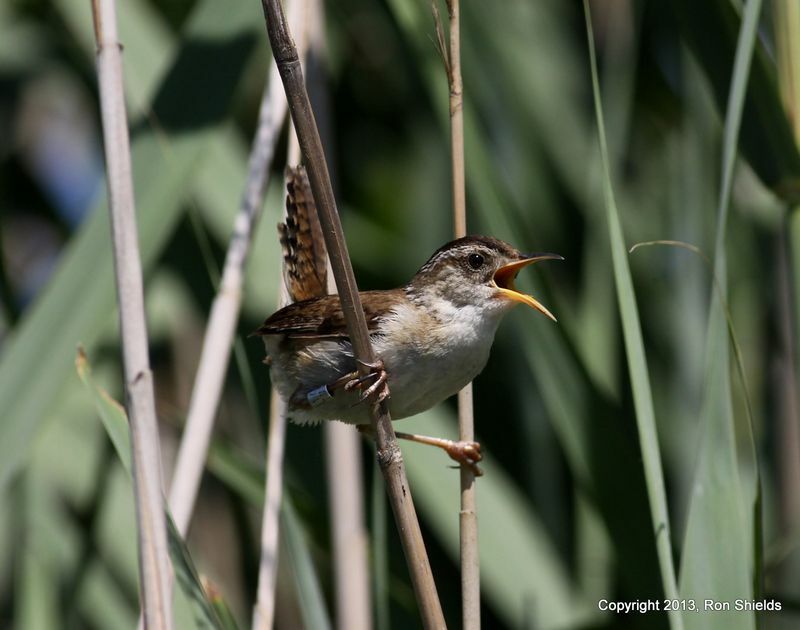 (Photo of the Marsh Wren above by Ron Shields, from The Nature of the Meadowlands). Blazing a Trail at Skeetkill: Help Needed! 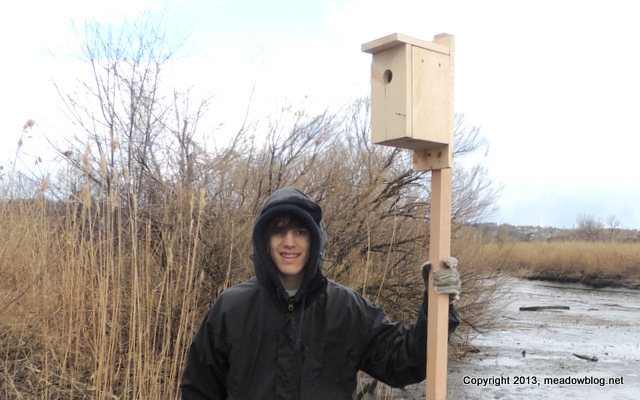 Eagle Scout candidate Alek Corradini of Rutherford is working on several improvements at Skeetkill Creek Marsh Park in Ridgefield — including a new walking trail. He'll be working there from 1 to 3 p.m. today through Saturday, and he could use a hand. 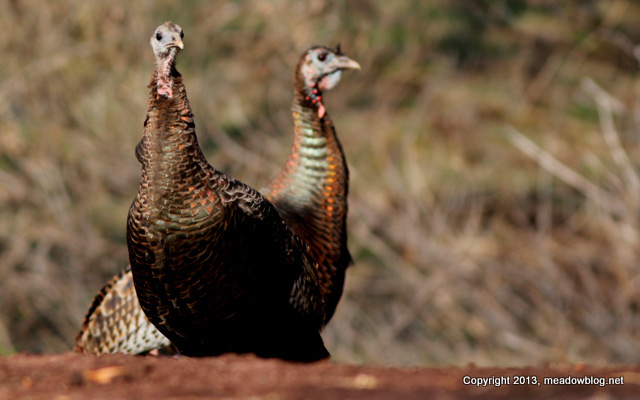 We had a pair of Wild Turkeys at DeKorte Park this mormning — no joke. We Need Your Big Year Totals! 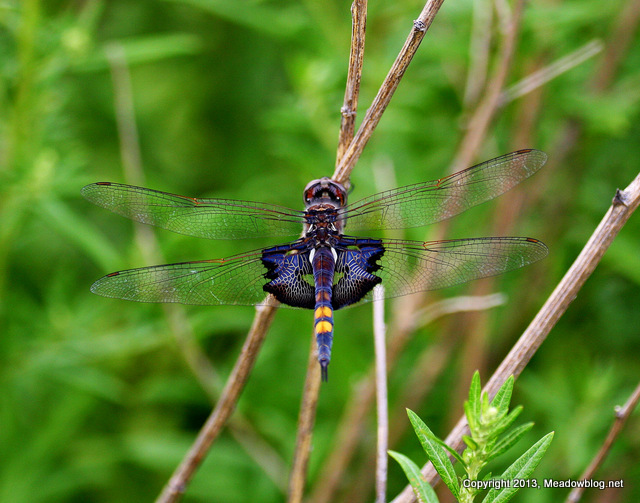 Get out your binoculars — and send us your Meadowlands Big Year totals as of March 31! 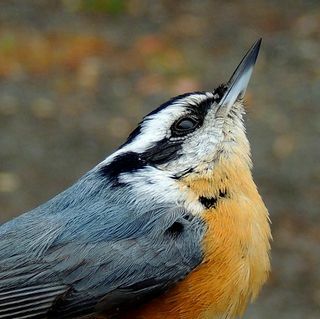 The goal is to see as many different bird species as possible in the 14 towns of the Meadowlands District over the course of 2012 — and also to have fun birding. 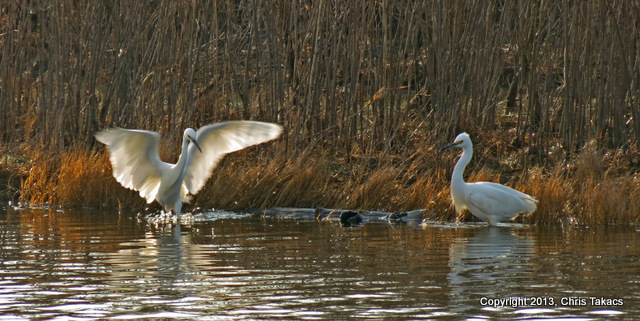 To ensure a level playing field, all birds must be seen in areas open to the public, or on guided walks or banding events in such places as Harrier Meadow or the back of the Kingsland Landfill (this Sunday's walk is a perfect example) . It's not too late to get started. Sunday's First-Sunday walk in DeKorte Parkis a great way to begin. We''ll even share a list of birds seen on the walk on eBird.org, and you can delete the birds you did not see. 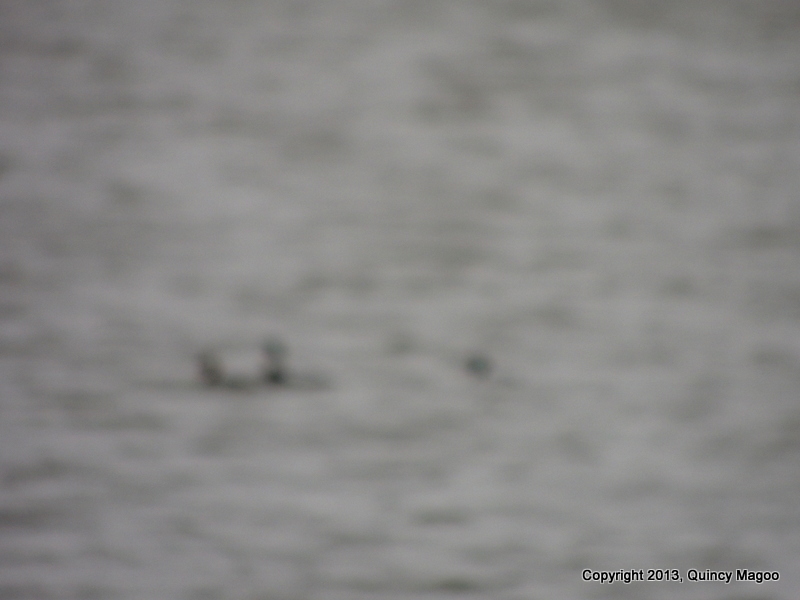 Quincy Magoo has been photographing in the Meadowlands for several years, and is best known for his soft-focus techniques, as evidenced by the Red-breasted Merganser shot above. "A sharp focus is over-rated in my book," Quincy says. "I was just lucky to see these guys in Teal Pool last month." Quincy studied at Rutgers. A link is here. Quincy's photos of a Fox Sparrow and well-camouflaged Long-Eared Owl follow.